Singapore Cleaning Service - Blog: Is Carpet Shampooing a Good Cleaning Option? Carpet shampooing is a good cleaning option for carpets. As a matter of fact, it is absolutely necessary for the longevity and hygiene of your carpet. It can be daunting to clean your carpet, particularly when you live with children or pets. 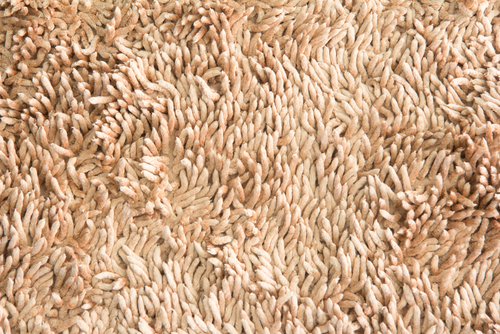 Carpet fibers absorb moisture and soil easily. These may never come out once they are ground into the fibers deeply. Even when a regular vacuum cleaning helps in mitigating the issue, it is sometimes necessary to call a professional who can give your carpet a good shampoo. Carpet cleaning for the removal of allergens, sand, grit, dirt, stains and for general beautification can be done using different methods, both modern and traditional. Manufacturers acknowledge that clean carpets are more pleasing visually, healthier than carpets that are poorly maintained and are potentially longer lasting. Methods of cleaning the carpet in every home will depend on how much traffic the rug or carpet is able to endure. This includes whether any of the residents have allergies and whether or not there are pets or children that live in the home. For carpets to last long, it is also important to select a method of cleaning that is right for the material that the carpet is made with. For this reason, it is better to choose professionals to deep clean a carpet rather than try to shampoo this yourself. Generally, there are different method of carpet cleaning including steam cleaning, bonnet cleaning, foam cleaning, dry cleaning and carpet shampooing. For homes, carpets are a highly popular flooring option because these are soft, warm and make everyone feel at home. Clean carpets are also safer when it comes to health. This safe, welcoming feeling is reinforced when carpets are clean. It is not enough to vacuum a carpet to keep them clean, especially if a lot of activities go on in a home throughout the day. Everyday activities in a home demand a lot from rugs and professional rug cleaning is the best method to keep these in top condition. When it comes to carpet cleaning, there are a lot of benefits other than the fact that it contributes to a general well being that a family feels when they walk barefoot on carpets that are fresh and clean. One of the most effective methods of cleaning a carpet is carpet shampooing. This is when special detergents are applied to the rug or carpet and put into a machine to get agitated. Then, a vacuum extracts the shampoo from the carpet. The detergents used contain deodorizers and brighteners which leave the rug smelling good and looking nice. A rotary shampoo method uses a carpet shampoo applied to the rug in order to wash off the grime. The shampoo is then whipped into a foamy solution and with a specialized machine that has rotating brushes, the foam gets worked into the carpet fibers. A vacuum then extracts the foam after a period of time. Rotary machines are used for carpet shampooing, and a wet vacuum follows this. At one point, wet shampoos for carpets were created from soaps that had coconut oil. Some cleaners combine shampooing with extraction. A spin brush and shampoo first loosens the dirt and the pile before the carpet becomes extracted. At times, a double rinse is done. More modern shampoos use a powder detergent which attracts loose dirt that comes off once the carpet is vacuumed the day after the shampooing is done. The benefits of carpet shampooing includes the high agitation involved which gets more dirt and grime released from the rug compared to other types of cleaning methods. There are also a lot of different chemicals available in this method that can be used to target specific types of germs, stains and carpet fibers. Also, cleaning agents stay longer on the carpet fibers compared to other types of cleaning methods, ensuring a hygienic result and a perfectly cleaned carpet. Only time and patience can remove tough carpet stains. No matter what carpet type you have, immediately treating the stains will yield the best results. Whether you have a synthetic or natural carpet, a professional carpet cleaner that knows exactly how to deal with the types of stains your carpet may have will yield maximum results. Since there is no such thing as worry-free carpets, products that help your rug resist stains do come in handy and contribute to the longevity of your carpet. When a carpet is shampooed professionally, one primary benefit is that the level of allergens in your home becomes reduced. Carpets attract dust and pollen from air that passes through windows as well as from shoes people use to walk into the home. 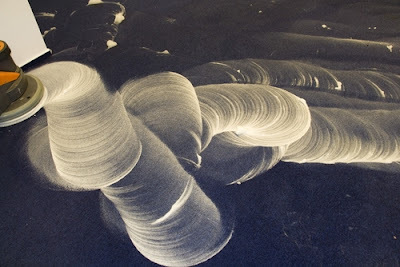 Since these particles become trapped within its fibers, carpets act almost like a filter. When pets or kids lie down on the carpet or rug, they get in contact with these allergens. A vacuum cleaner is not enough to clean a rug since what it does is that it brings the dust close to the surface of the carpet without really removing them which causes irritations and allergens to be appear. Thoroughly cleaning a carpet will remove these allergens leaving your home healthy and clean as well as much safer for the children to play in. Believe it or not, the same dust particles that cause allergies in your family members are also responsible for causing your carpet fibers to depreciate. Carpet fibers tend to get worn down when microscopic materials, stains and dust get wedged within the carpet. As time goes on, the dirt trapped in your carpet will cause apparent wear aside from a roughness that you will be able to feel with bare feet. The same adverse effects come from highly visible carpet stains which you will need to remove with a professional carpet cleaning service. The lifespan of your carpet will become extended when your carpets get professional shampooing which completely removes dirt and stains, saving you from having to prematurely replace it and keeping it looking new for a longer time period.